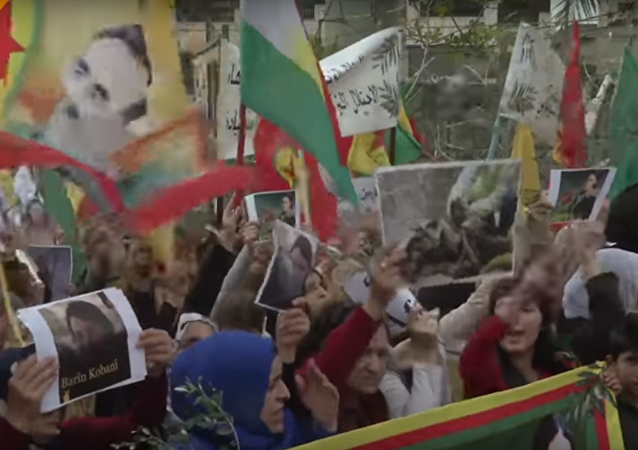 Previously, Turkey conducted two ops, "Olive Branch" and " Euphrates Shield" in the Arab Republic in a bid to eliminate Kurdish forces there, allegedly tied to the Kurdistan Workers' Party (PKK), deemed a terrorist organisation by Ankara. The United States and Turkey have held talks in Ankara as part of a working group formed to settle disputes between the two nations over the presence of Kurdish militia in the Syrian city of Manbij. During a Sochi meeting with his Syrian counterpart Bashar Assad, Russian President Vladimir Putin stated that it is necessary for foreign armed forces to pull out from the country, as the Syrian army has achieved success in fighting against terrorism and is kicking off the political process. 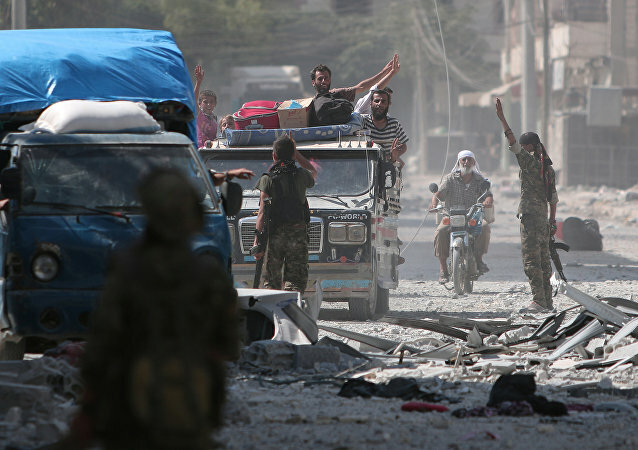 The United States and Turkey have not been able to reach an agreement over the Syrian city of Manbij, which has been controlled by the Kurdish Syrian Democratic Forces (SDF), who, in turn, had captured the strategic city from Daesh* with US-led coalition support in 2016. A new development in the Saudi Arabia-Iran standoff may have come to light, after the Hezbollah chief shared a new, finance-related detail. 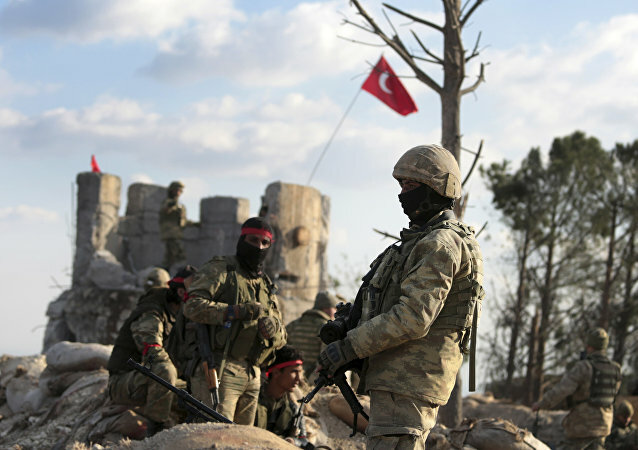 MOSCOW (Sputnik) - Turkish Armed Forces waging Operation Olive Branch against Kurdish militants in northeastern Syria are 1.5 kilometers (0.93 miles) away from Afrin, local media reported Monday. Months after a bombshell story revealed that the US government has spent millions of dollars and many research hours detecting and studying unidentified foreign objects, the government continues to study these phenomenon even though funding has technically been cut off, according to a new report. 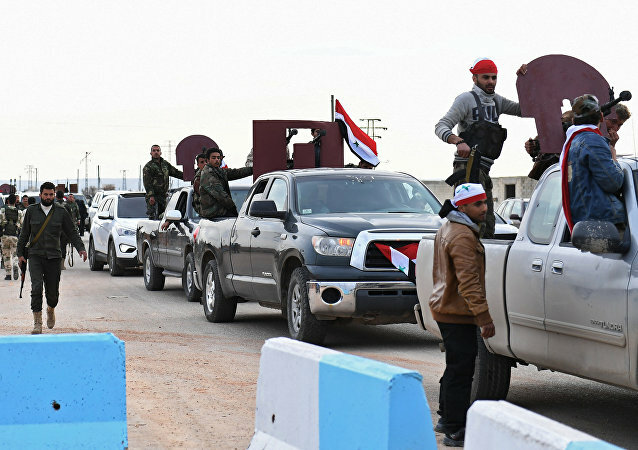 ANKARA (Sputnik) - The Turkish army in cooperation with militias loyal to Ankara have established their control over almost half of the territory of the Syrian northern district of Afrin, where Turkey is holding a military operation against the Kurdish militants, the Turkish deputy prime minister said Monday. Turkish President Recep Tayyip Erdogan’s regime “cannot survive” if it continues to anger nearly every one of its international neighbors, according to Mark Sleboda, an international relations and security analyst who spoke with Radio Sputnik’s Loud & Clear on Wednesday. 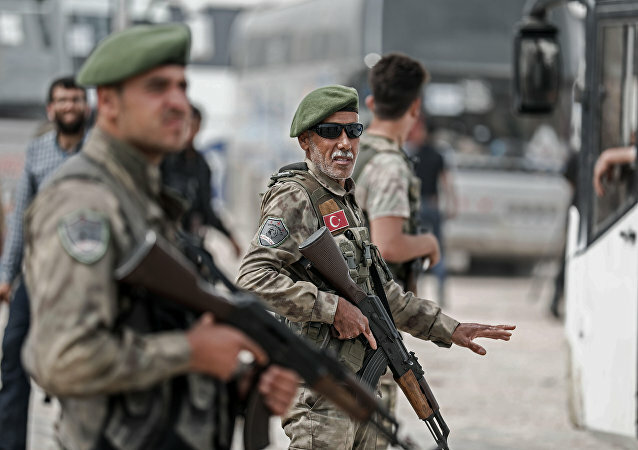 The Turkish presidential spokesman Ibrahim Kalin has warned that any step in support of the Kurdish units would be regarded as “terrorist” by Turkish military. YPG representative in Afrin Brusk Haseke has confirmed to Sputnik that Syrian forces have arrived to Afrin despite Turkish Air Forces' shelling on February 20, adding that a new group of Syrian military entered the city today. In an interview to Sputnik, Kurdish YPG representative Nuri Mahmud detailed the disposition around the Syrian city of Afrin, where Turkey’s Operation Olive Branch is still underway. 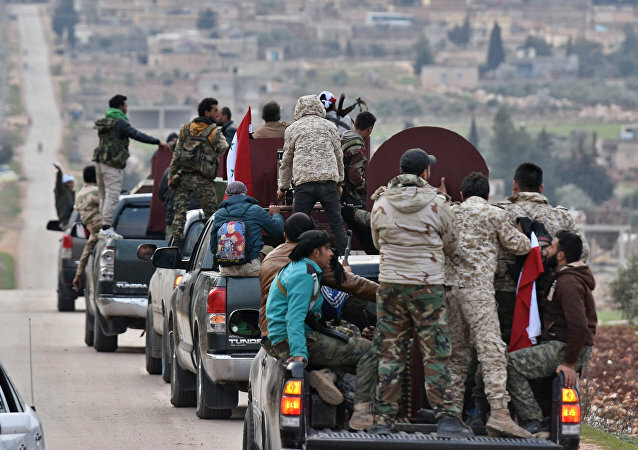 Amid reports of Turkey allegedly launching a gas attack in Syria, Kurdish YPG groups in Afrin are calling on the Syrian army to meddle in to protect their borders from Turkish combat men, a YPG representative Nuri Mahmud told RIA Novosti.